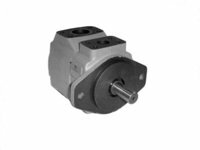 The DFP pumps are fixed displacement vane pumps made in four different sizes, each size having five different nominal displacements. 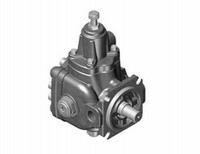 The RV1D pumps are variable displacement vane pumps with mechanical pressure compensator. 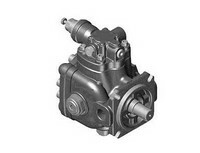 The PVE pumps are variable displacement vane pumps with direct pressure regulator. 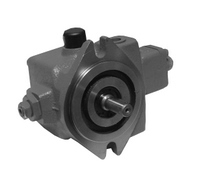 RV1P are variable displacement vane pumps with hydraulic operated pressure compensator, that permit instantaneous adjustment of the flow rate according to the circuit requirements.